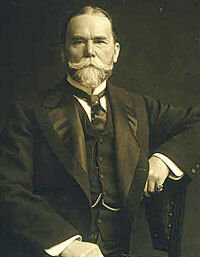 John Hay, the Assistant Private Secretary to Abraham Lincoln, co-authored the 10-volume Abraham Lincoln: A History. He was clerking his uncle’s law office in Springfield in 1859-60 when he came to know President-elect Lincoln. John G. Nicolay, Mr. Lincoln’s secretary, insisted that Hay accompany them to Washington. 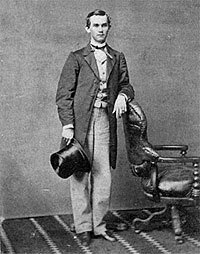 Mr. Lincoln acquiesced in hiring the youthful graduate of Brown University. 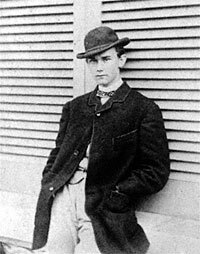 During Lincoln’s presidency, Hay was a social companion of Robert Lincoln when the President’s son was in the capital. 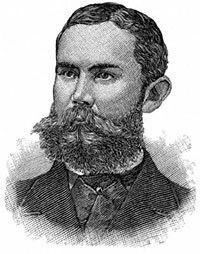 In 1863 and 1864, Hay served on military missions to South Carolina and Florida and was appointed an army major to investigate an insurrection plot in St. Louis. Historian Michael Burlingame wrote that “Hay’s humor, intelligence, love of word play, fondness for literature, and devotion to his boss made him a source of comfort to the beleaguered president in the loneliness of the White House.”7 Hay’s good humor stood him in good stead, but he often clashed with Mrs. Lincoln at the White House—since he and John Nicolay shared responsibility for the White House expense account. Early in the war, he also oversaw White House security. The conflict with the woman he called the “hellcat” hastened his appointment to be a diplomat in Paris in 1865. He had soaked up literature and culture at Brown University; he shared with his White House boss a love of poetry and an occasionally melancholy temperament. He also shared the President’s love of good writing and the theater. Lincoln chronicler Daniel Mark Epstein wrote that “the secretaries rarely left Washington for rest without an assignment somewhere in the vicinity of their destination, such as Hay’s detour to St. Louis when he went to visit his family in Warsaw, 10 miles away.”8 When Hay was sent to Florida by President Lincoln in 1864, it was rumored that Hay was to become the state’s first reconstruction congressman; reconstruction failed however as did all subsequent efforts to get Hay to run for political office. 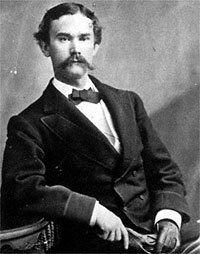 After the Civil War Hay served as a distinguished poet, novelist, journalist, businessman and diplomat, including service as Ambassador to Great Britain (1897-98) and Secretary of State (1898-1905) under Presidents William McKinley and Theodore Roosevelt. 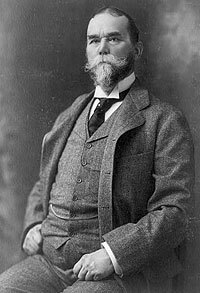 Hay managed the Open Door Policy toward China, negotiated the Hay-Pauncefote Treaty and helped arrange for construction of Panama Canal. Michael Burlingame, editor, Lincoln’s Journalist: John Hay’s Anonymous Writings for the Press,1860-1864 p. xxiii. Michael Burlingame, editor, At Lincoln’s Side: John Hay’s Civil War Correspondence and Selected Writings, p. 54. Michael Burlingame and John R. Turner Ettlinger, editors, Inside Lincoln’s White House: The Complete Civil War Diary of John Hay, p. 89. William O. Stoddard, Jr., editor, Lincoln’s Third Secretary, p. 166-167. Michael Burlingame, Abraham Lincoln: A Life, Volume II, p. 74. Daniel Mark Epstein, Lincoln’s Men, p. 69.